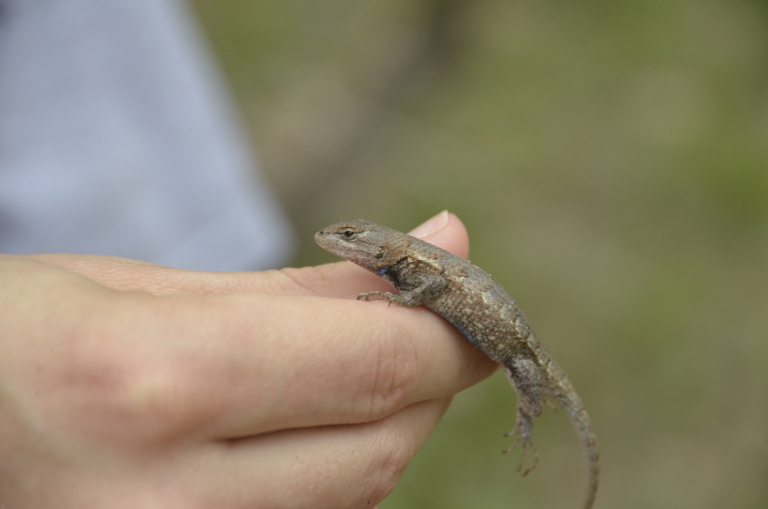 Can you confirm these amateur observations of Sceloporus undulatus? 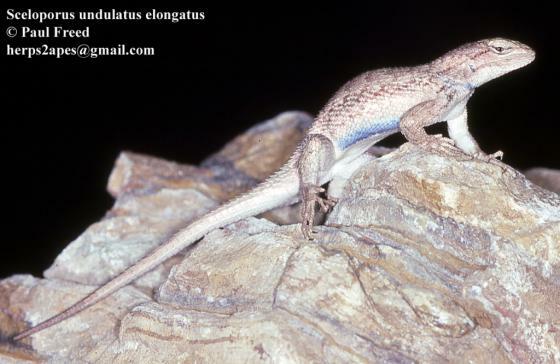 Lacerta hyacinthina GREEN 1818: 349.
elongatus: USA (Arizona, Colorado, Nevada, Utah [fide BURT 1933]). Type Locality: Moa Ave, Painted Desert, Arizona. 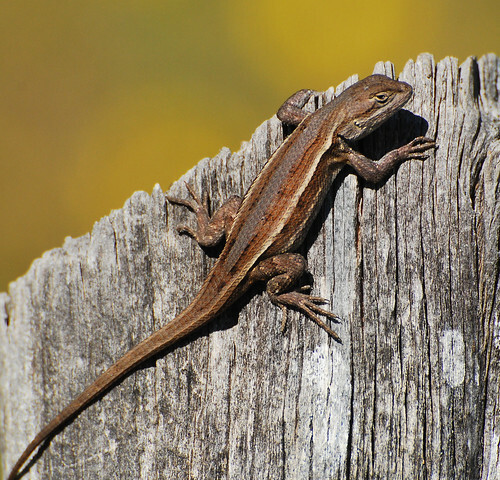 erythrocheilus: USA (Colorado). Type Locality: Nineteen mi E Model, Purgatoire River, Las Animas County, Colorado. 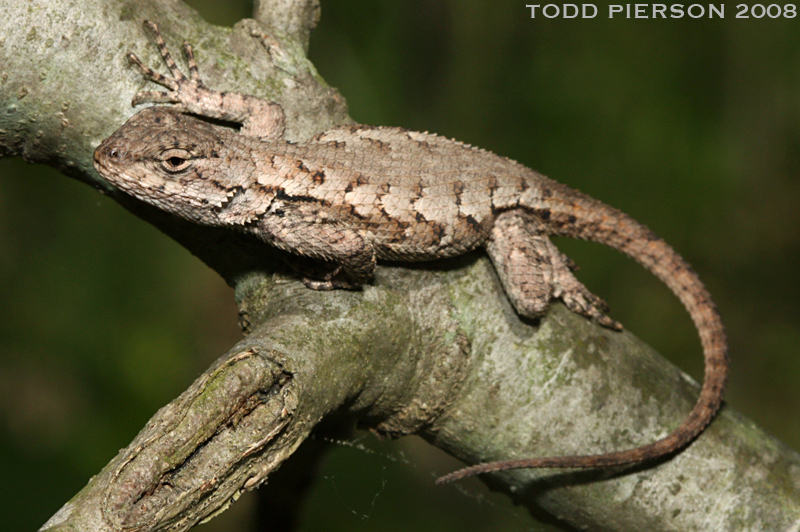 floridanus: USA (Florida); Type Locality: Pensacola, Escambia County, Florida. garmani: USA (E New Mexico, South Dakota, W Texas, Oklahoma, Colorado, Wyoming, Kansas, Nebraska). Type Locality: "Dacota", in original description; restricted to "Near Pine Ridge, South Dakota", by Stejneger and Barbour (1933). hyacinthinus: USA (Missouri, West Virginia, Louisiana, Arkansas, Oklahoma, New Jersey, Virginia, etc. ); Type Locality: None stated. "Probably the vicinity of Princeton, New Jersey" (Stejneger and Barbour, 1943). Neotype locality: Crossley Preserve, western Berkeley Township, Ocean County, New Jersey, 4.76 mi (7.05 km) directly west of the Garden State Parkway bridge over Toms River at Toms River, New Jersey. speari: Mexico (Chihuahua); Type Locality: 1.6 km N Hwy 2, 107°11'W, 31°33” N, 1250 m, on a side road intersecting Hwy. 2, 3.6 km E Microondas Duna, 18.6 km E San Martín, northern central Chihuahua, Mexico. tedbrowni: USA (New Mexico [HR 32: 58]). Type Locality: A large dune, Waldrop Peak, 0.5 mi S Hy 380, Chavez Co., 6 mi W Caprock, Lea Co., New Mexico. undulatus: South Carolina; Type Locality: "Les grands bois de la Caroline." Of neotype, 3.2 mi (5.14 km) N intersection of South Carolina route 41 and county road 100 at Wando (Cainhoy), in Francis Marion National Forest, Berkeley County, South Carolina. Wando, or Cainhoy, is 15.25 mi (24.6 km) NE Charleston, S. C.
Types Neotype: NCSM 83600 (was ChM = Charleston Museum = CR) 1981, collected by John Quinby 31 October 1953, designated by Bell (1996). Original types lost. 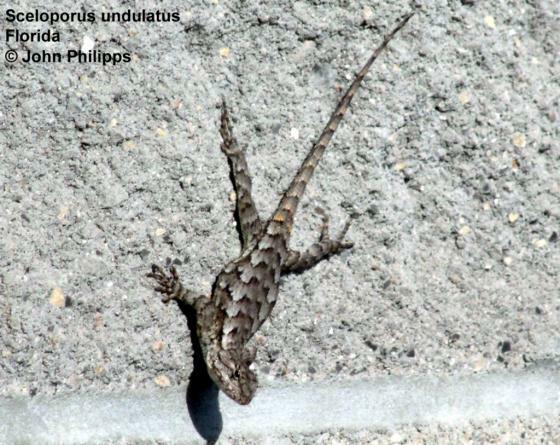 Comment Subspecies: Sceloporus undulatus consobrinus and Sceloporus undulatus edbelli are treated as full species now. 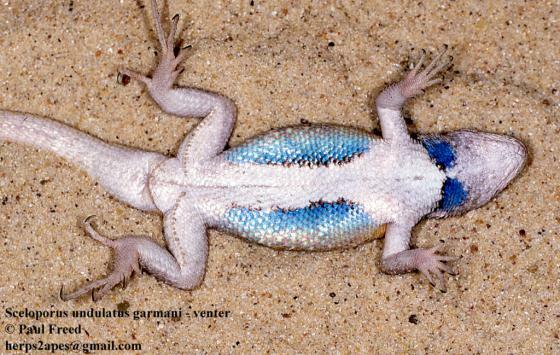 Leaché and Cole (2007) presented evidence for hybridization between S. cowlesi and S. tristichus. MILES et al. (2002) could not find convincing evidence for the validity of genetically distinct subspecies of C. undulatus. S. (u.) 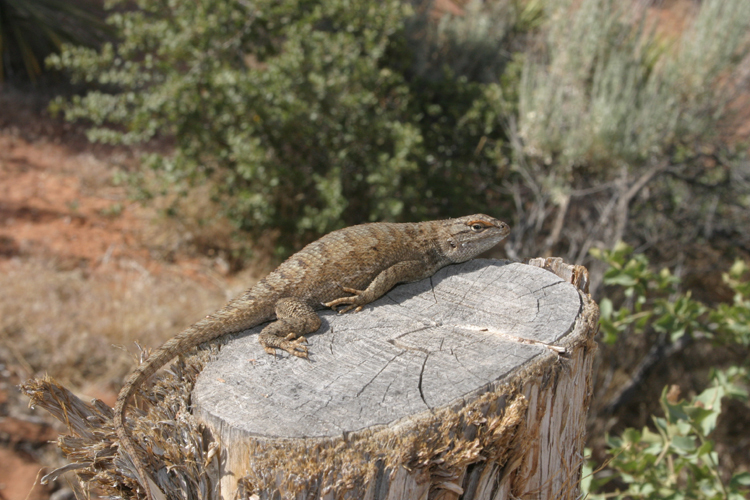 tristichus is the race of S. undulatus sympatric with occidentalis longipes in the Pine Valley Mountains of southwestern Utah (Cole, 1963; Smith and Chiszar, 1989). Distribution: The information in this record needs to be updated. 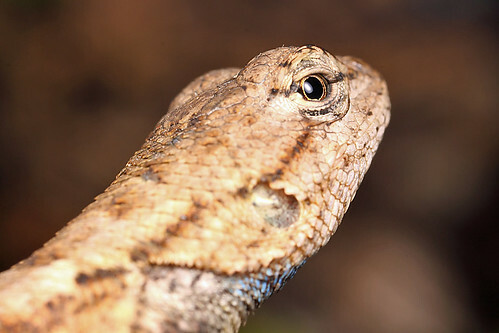 Based on the evidence presented by LEACHÉ (2009), Sceloporus undulatus is restricted to east of the Mississippi River and S. consobrinus to the west, a geographic finding consistent with a number of other systematic studies involving frogs and snakes. Not in Nuevo León fide Nevárez-de los Reyes et al. 2016. 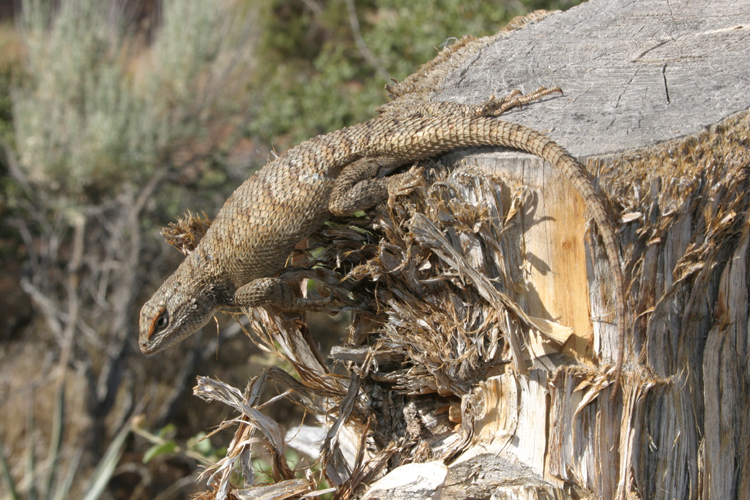 Nomenclature: Lacerta fasciata Green, 1818 is a junior primary homonym of Lacerta fasciata Linnaeus (1758); see Smith (1947). Etymology Etymology (edbelli): named after Edwin L. Bell, Professor Emeritus of Biology at Albright College, Reading, Pennsylvania, who worked for many years on S. occidentalis and the systematics of the UNDULATUS group. 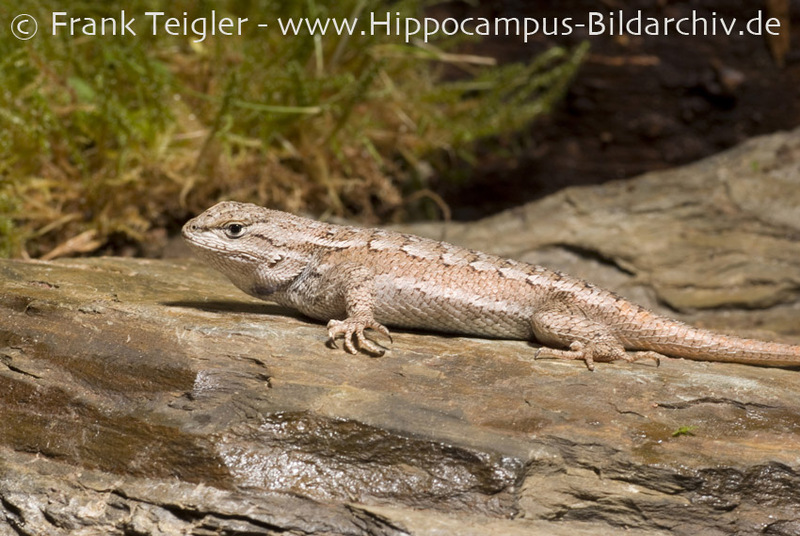 Etymology (elongatus): The Latin elongatus refers to the elongate tail and legs, as described by Stejneger (1890). Etymology (erythrocheilus): The Greek erythros, "red," and cheilos, "lip," refer to the rust-reddish coloration of the lips and adjacent scales in breeding males. 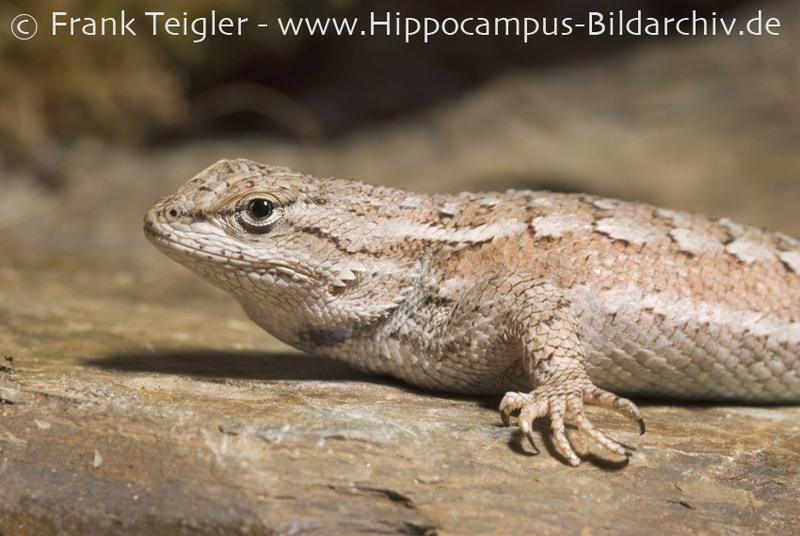 Etymology (garmani): The genitive singular noun honors Samuel Garman, Curator at the Museum of Comparative Zoology at Harvard University, who authored nearly 50 works in herpetology from 1874-1917. Garman sent the syntypes to Boulenger. Etymology (hyacinthinus): The Greek singular noun is from hyakinthinus, "lily," and refers to the blue colors of the abdominal semeions. Etymology (speari): The genitive singular patronym honors Norman E. Spear, Distinguished Professor of Psychology at the State University of New York at Binghamton, where he is Co-director of the Center for Developmental Psychology, and was a mentor for David Chiszar. 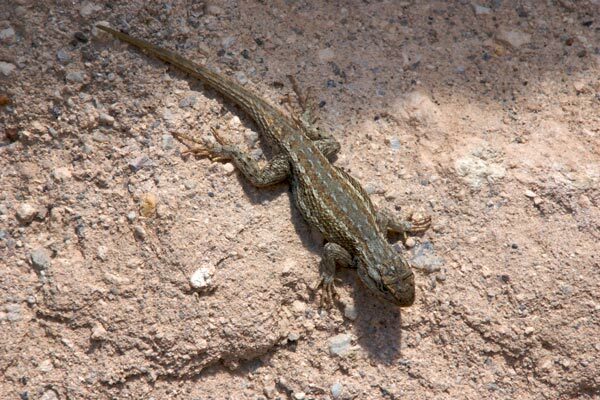 Etymology (tedbrowni): The Latin genitive singular honors Ted L. Brown, authority on the herpetology of New Mexico, and long editor of the New Mexico Herpetological Society Newsletter. Etymology (thayerii): This name honors Col. Sylvanus Thayer, founder of the instructional regimen at West Point Military Academy in the middle of the 19th century. Etymology (undulatus): The Latin undulatus, "wavy," refers to the undulant transverse dark cross-bars on the dorsum. Applegarth, J.S. 1969. 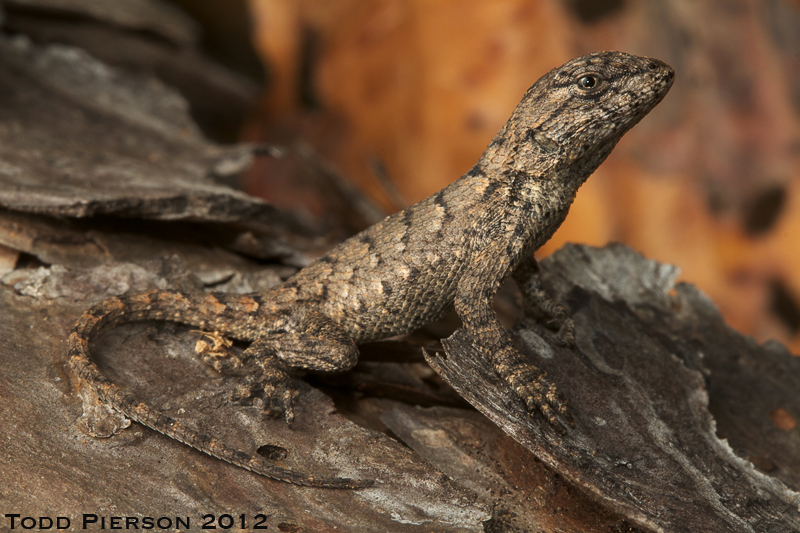 The variation, distribution, and taxonomy of the eastern fence lizard, Sceloporus undulatus Bosc in Latreille, in northeastern New Mexico. Unpublished M.S. thesis, University of New Mexico, Albuquerque, 124 pp. Potts, George D. & Joseph T. Collins 2005. 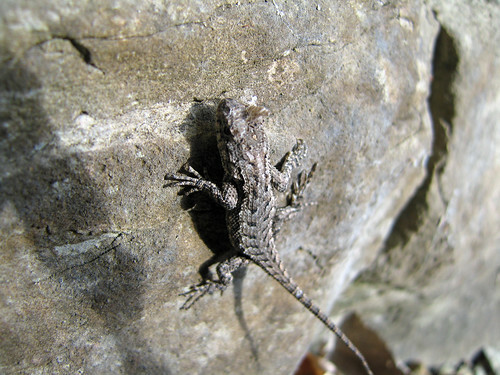 A CHECKLIST OF THE VERTEBRATE ANIMALS OF KANSAS. Kansas Department of Wildlife and Parks, 50 pp.